Having struggled with acne ever since I hit puberty at 11, I learnt that people can be very unkind when it comes to things like that, especially young children who have not learnt how to be tactful. My self-confidence took a serious hit and I was emotionally traumatized while growing up, always questioning why my skin wasn't as good as everyone else's. I was so desperate - I tried everything you could possibly think of. Back then, the Internet wasn't yet a big thing, so most of my time was spent in the library, where I was furiously reading medical books on skin, Bobbi Brown's beauty and makeup guides at a tender age of 12 (yes, 12! ), home remedies and other "solutions" that were touted to work. I even took nutritional supplements like zinc that were supposed to help. When it came to facial products, I listened to everything and everyone - my mother, my aunts, the salesgirl at the pharmacy...and anyone who claimed they knew something that would cure my condition. 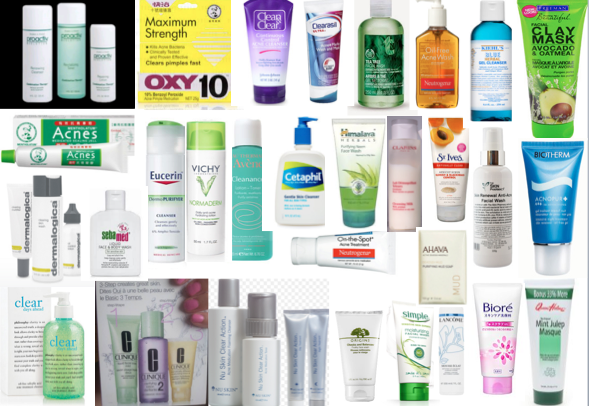 The list at the top of this post shows some of the acne products I tried (and that's not all!). I even went for facials, gritting my teeth and tearing as beautician after beautician squeezed my pimples and clogged pores, saying that it would make my skin better. Guess what I learnt after trying so many different brands and products? 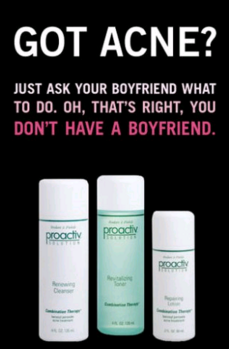 NONE OF THESE OFF-THE-SHELF PRODUCTS WORKED FOR MY ACNE. It was terrible. I've tried all sorts of chemicals that were supposed to work on acne - benzoyl peroxide, salicylic acid, triclosan, azelaic acid, hydrocortisone, tetracycline, retinoids, etc - but my skin didn't improve at all. In fact, it only got worse. By the time I hit junior college, my acne skyrocketed. Then there came a horrendous period where my face was so bad that my skin had multiple itchy and raised bumps with a clear, yellowish liquid coming out of my pores. IT WAS GROSS. I had to permanently arm myself with tissues and dab at my face every now and then. With the comments that I was receiving from some of the people around me, I wanted to just kill myself. "Ew, she's so ugly" and "oh my gosh look at her skin!" were common remarks I frequently overheard. My mum was convinced I wasn't washing my face enough ("your skin is dirty, that's why you have pimples!) whereas I was getting more and more depressed over time. It got so bad that I had to finally admit that nothing was working, so I finally decided to stop all my self-treatments and see a doctor. I was prescribed oral medication of Acnotin (costing $2 a pill) and Suprim (a type of antibiotic for acne), as well as a light pH 5.5 cleanser that was alkaline and soap-free. After a year on the medication, my acne started clearing up. But I was heavily reliant on those Acnotin pills - each time I stopped taking them, the pimples would come back. Even when the doctor tried to wane me off the pills, it was hardly working. 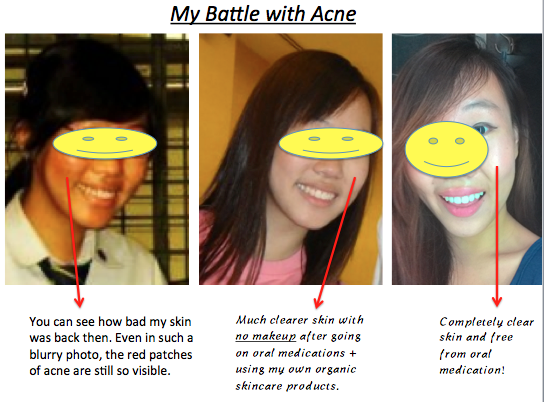 Finally, at the age of 18, I read online about other people's testimonials on how organic skincare products cured their acne (and other skin problems) for good. In ancient years, mankind didn't have all these laboratory-produced chemical skincare, yet many women could maintain their clear skin...so I decided to give it a shot. 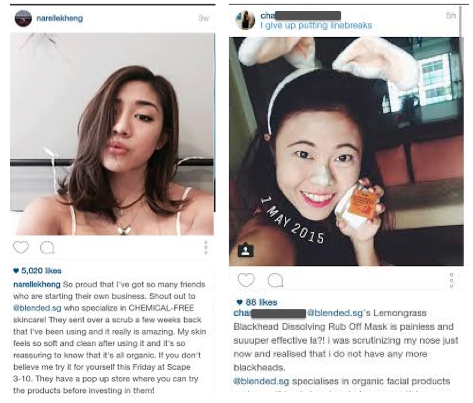 Of course, organic skincare products do not come cheap. In 2008, there weren't a lot of organic skincare brands available on the mass market, and prices for organic skincare were hovering at a few hundred dollars. I was only a JC student, and wasn't getting any pocket money from my parents (you read that right)...where on earth was I supposed to find the money? So I decided to make my own. I emailed folks overseas who had made their own organic skincare products successfully, and asked for advice. I spoke to so many people and tried different recipes. Not everything worked - Singapore's humid weather meant that a lot of the products started growing moulds within DAYS using some of the recipes available online. It was disgusting, and there was no way I was putting that on my face! It took a lot of trial and error, experimenting and failing over and over again, but I wouldn't give up. This was my face we're talking about! Eventually, as much as I could, I learnt to buy only ingredients that were certified organic and from reliable sources. They certainly weren't cheap, but still cheaper than buying directly from the limited organic skincare brands available then. The early days of Blended was thus born. It wasn't an overnight miracle, but I slowly started seeing results after a few months. My skin was getting much clearer, and I was able to reduce my dependency on Acnotin. When I first started on the prescription, I had to take it once every alternate day. As my condition improved, the dosage was reduced to 2 - 3 times weekly. Ever since I switched my skincare regime to include as many organic products as possible, I've been able to get rid of my reliance on oral acne medication. Today, it has been over 4 years since I last took Acnotin, and I've been largely acne-free ever since. Only organic skincare products could save my skin for good. I realized that when I was using other drugstore and branded products, I was effectively dousing my face in toxic chemicals that were stripping away my skin's protective layer and its ability to heal itself. I've become (almost) an expert in reading skincare ingredient lists now, after over a decade of research and studies, and other than my own Blended skincare line, most other products out there contain at least 1 or 2 ingredients that I know will potentially cause my skin to break out again. Today, my skincare routine comprises of 80% organic products (mostly from Blended) and I've been able to go out without applying any foundation or concealer at all. In contrast to the days where I had to SLATHER concealer in order to look presentable enough to head out, this was a huge transformation. I've not been able to wane off all products completely as there are still some things that I've not been able to make (like pimple creams), but it is a huge step forward. Of course, that is not to say that I no longer get pimples. Like most people, my skin breaks out when I'm excessively stressed, get too little sleep, have no time to mask regularly (I try to mask every alternate day)...or when it is close to "that time of the month". But my skin today is much, much better. To share this with everyone else facing skin problems, I decided to distill all of my recipes down into a science, really test them out, and set up Blended. Together with my business partner, we curated a line of skincare offerings that I am certain will work for most skins, just like how it saved mine. The most important part is keeping these organic skincare solutions affordable for everyone - which is why the largest portion of our operating expenses are spent on the expensive organic ingredients that we use, and we do not spend too much on packaging, advertising, or other promotions. My skin is extremely sensitive and reacts easily to most products, so on top of our usual testings to make sure it isn't too acidic / no bacterial growth etc, we also test every batch of products on myself and a few other testers to make sure it works before it goes to sale. The best part about setting up Blended has been all the people we've been able to help, and I'm glad that my personal acne struggle has resulted in being able to help others overcome theirs. We're having a year-end giveaway for anyone who wishes to try out and see if organic skincare can save your skin too. On top of that, there are starter kits available for just $48 (worth $150) - and I can promise you that you won't be able to find these kind of prices anywhere else for quality organic skincare that has worked for so many others. 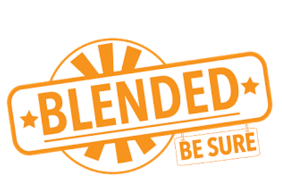 If you're taking part, be sure to let my colleagues at Blended know that you're a reader of my blog! My next step will be to convert to a 100% organic skincare regime, and I look forward to even better skin to come. 2) SK2 masks, which costs a bomb, together with Loreal Youth Code hoping that hydration will improve the situation. My skin isn't as dry as before, but still becomes oily after 2 or 3 hours, I also think they are causing breakouts instead of preventing them. 3) Clarisonic, which doesn't seem to be doing much for me after 2 months of use. I've been considering other options this week - AHA? Seba Med? Or my sister's face wash prescribed by NSC that contains triclosan (exchange cancer for better skin)?! I swear this blogpost is god sent. What are the range of products from Blended that you are currently using? Also, what do you use as a night time moisturiser, since I notice theirs usually have SPF. I'm considering changing my entire line of skincare once I finish the current products - I just need a moisturiser! Sorry to hear that! I can totally relate, because I've been through that exact same journey. 1) I've never tried Stieva A, but it's a chemical synthetic comprising of Tretinoin to treat acne. After my horror stories with salicylic acid, triclosan and benzoyl peroxide, no way am I ever going to subject my face to another chemical experiment! 2) I think both brands contain methyl parabens. Pretty sure for SK2, because I used to have them. Not too sure for Loreal, you can check out the ingredient list to be sure. 3) Never bought into that whole Clarisonic hype which every other beauty and lifestyle blogger was into. Price is too unrealistic for me. For your other options, AHA can be risky, so DO NOT USE unless you have close medical supervision by your doctor! I've tried Sebamed before and it was completely useless on my acne (finished 2 bottles before I gave up on it) so I'm not sure if it'll work for you either. If you want to try your sister's face wash, you might want to get a consultation with NSC first because the concentration of triclosan might differ? I'm not sure how they prescribe their medications to different patients and their skin types. Blended has a night-time moisturizer, which I recommend the gel version since your skin is acne-prone and sensitive like mine. It contains pure aloe vera with no synthetics or chemicals, and also contains lemon extract for a little whitening purpose. 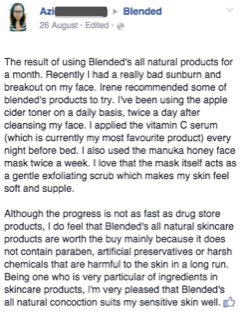 I'm currently using quite a range of Blended's products (perks of being a partner in a skincare line!) and I can blog more about what I use in a separate post before this comment gets too long! Nonetheless, most of what I use is being offered in the New Year organic starter kit right now, so if you'll like to try it out, I reckon $48 for a package of 5 products (retailing originally for $150+) is quite a steal! Hi, I didn't take any medications for the scarring, nor do I take any supplements. Once the skin heals, I use the organic coffee exfoliator to slough off the dead skin cells, then apply a 10% organic Vitamin C serum to help regenerate new skin cells and even out the skin tone. That helped a lot with my acne scars previously. If you're breaking out often, I would say the toner is more important right now. Hope that helps! Hello budget babe , could you do a post on your skincare routine too , be it organic or non-organic products? I love the toner! Got the 48 dollar kit and they ran out of the matte powder so I got the pimple cream instead! Everything works wonderfull, like magic lol. I'm glad you love them as much as I do! It is a pity you didn't get to try the matte powder - that's one of my ultimate fav products. See if you can get them during CNY, they're running a promo for it! Ah babe, your website is the first I turn to when I needed some advice on skincare. Try imagining me sitting in Starbucks alternating between studying and researching at the same time HAHA! But thanks so much for this article and a couple more that I found on your site. Been blessed with decent skin but years of wearing make up is taking its toll even though I maintained a strict facial regime, guess I could see which area I'm lacking! Sky! From fusion, right? Or did I mistake you for another Sky... I couldn't tell, the last time I saw you your skin still looked amazing! 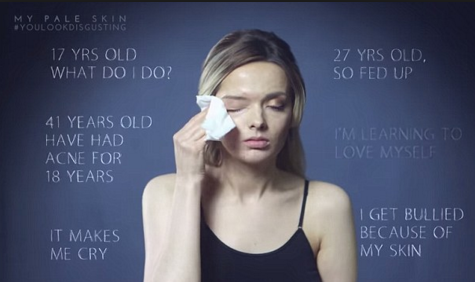 But yes omg can totally relate to the makeup taking a toll on skin...some days I go out without any makeup save for my eyes, because I need to let my skin "breathe" and recover! 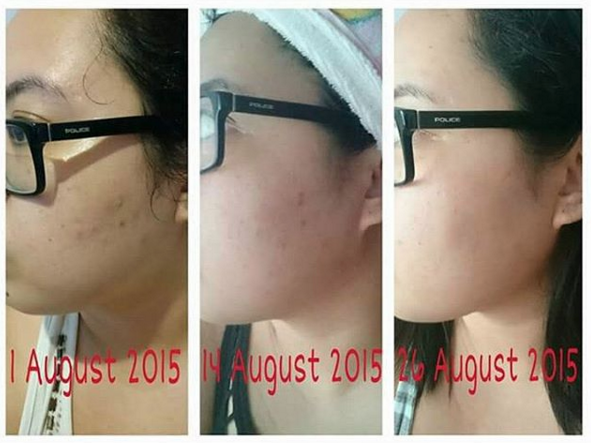 jiayou on your skincare, I'm sure you'll get back the good skin you had before really soon! But yes I suppose there's a way to do make up and still have good skin by having a good facial regime. Hope to see more of these posts soon in the future! Maybe even one on make up products that you feel is best for your skin in the long run? Did you know that you can shorten your urls with AdFly and earn money from every visitor to your shortened urls.